Welcome. 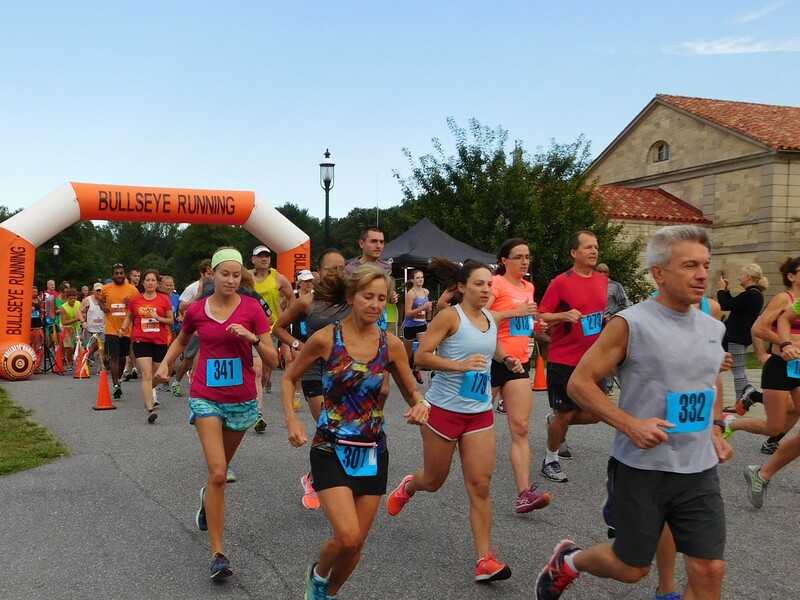 Are you ready for a spring race at the Shrine of St. Anthony in Ellicott City? This race is brought to you by the same Knights of Columbus Council that organizes the Labor Day Running Classic every year. We decided to add a spring race and have come up with a 4K and an 8K that are entirely on the grounds of the Shrine. The 1st half of the 4K (approx. 2.5 miles) is on roads on the property and the 2nd half is on trails (mulch and dirt) that are well maintained by members of our council. The 8K (approx. 5 miles) will be 2 laps of the same course as the 4K. The course has been officially measured and we will have chip timing of the event by Bullseyerunning. We also plan to provide finishing medals to all participants. We will have post race refreshments and will have awards for the top 3 male and female finishers in both races. We will also have a kids fun run and will have finishing medals for them as well. We are raising funds for our council, local charities and the Youth Ministry at our church, St. Louis Parish in Clarksville, MD. When: Saturday, April 21st, 9:00 a.m. Parking: Like our Labor Day running Classic, we will have parking attendants assisting parking cars upon entering the Shrine property. Price: $20 individual, either race. Price increases to $25 on April 14th thru race day. $50 for a family up to 4 (immediate family, same household) either race. Price increases to $60 on April 14th. Kids in families larger than 4 are $10 each additional with no price increase. $10 for kids fun run (12 and under). No price increase. Packet pickup: Friday, April 20th from 3-8 p.m. at Road Runner Sports, 6630-C Marie Curie Dr., Elkridge, MD 21075 and on race day beginning at 7:30 a.m.